BNP on Sunday alleged that the Election Commission (EC) could not yet create a level-playing field in Gazipur and Khulna cities for holding credible polls there on May 15. 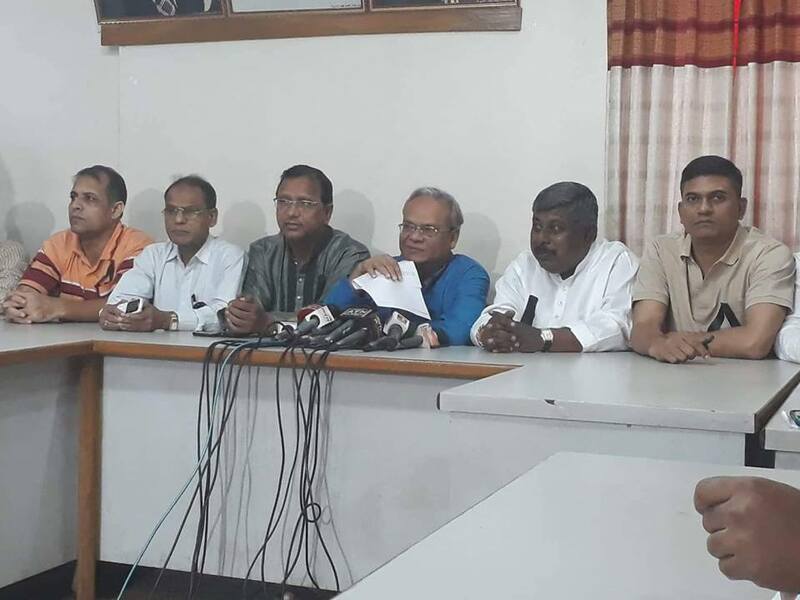 The party also demanded immediate withdrawal of Gazipur Police Superintendent M Harun-or-Rashid for ensuring a proper election atmosphere in the city. “The Election Commission has failed to create a level-playing field in Gazipur and Khulna city corporations. They couldn’t yet create an atmosphere for the polls either,” said BNP senior joint secretary general Ruhul Kabir Rizvi, reports UNB. Though the election campaign has begun, the ruling party men are roaming with huge legal and illegal arms in the two cities, the BNP leader alleged. He said their party has been lodging various complaints with the EC about the violation of the election code of conduct by the two ruling party candidate’s, but the Commission is unlikely to take any action in this regard. Besides, the BNP leader said the law enforcers are arresting the leaders and activists of the 20-party alliance, repressing them and intimidating them in various ways, including killing them in crossfire, in the two cities. He said around 45 leaders and activists of the 20-praty, including Gazipur district Jamaat Amir Prof SM Sanaullah were arrested while carrying out electioneering in favour of Gazipur BNP mayoral candidate Hasanuddin Sarkar over the last two days. “Gazipur police is now a name of serious horror. We’ve been demanding the withdrawal of Gazipur SP Harun from the beginning, but the Home Minister is not taking any action in this regard. We again demand the withdrawal of the SP,” the BNP leader said. He also renewed their party’s demand for deployment of army in the two cities one-week before the polls. Rizvi alleged that a ‘propaganda cell’ has been set up at the Prime Minister’s Office to carry out ‘false campaign’ against Zia family on social media. “Various false and fabricated stories are being spread through the Facebook ID of a deputy press secretary of the Prime Minister,” he further alleged. About a ‘false’ video containing Khaleda’s remarks about her son Tarique Rahman and his wife, he said it was made distorting and editing the BNP chairperson’s various speeches on different matters. “It’s the practice of uncivilised and foul politics. We strongly condemn and protest it.